What's the difference between a protip, a showcase, and a tutorial? Tutorial: Contains full step by step instructions, code, and schematics. Protip: It's a mini-guide or tutorial on how to do something. When a project describes how to make a full device, a protip just shows how to solve a single problem. Showcase: A project that contains no or partial instructions. People sometimes link to youtube videos or other places online, or simply show off photos of their completed project. 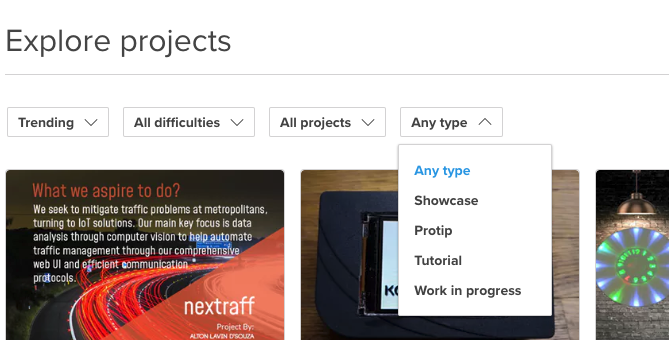 Depending on your answers here, your project will be categorized as a protip, showcase, or tutorial.